As we wrote in previous blog post, placing a single work of compelling sculpture in the landscape (or any space) can completely alter the environment and elevate the experience. 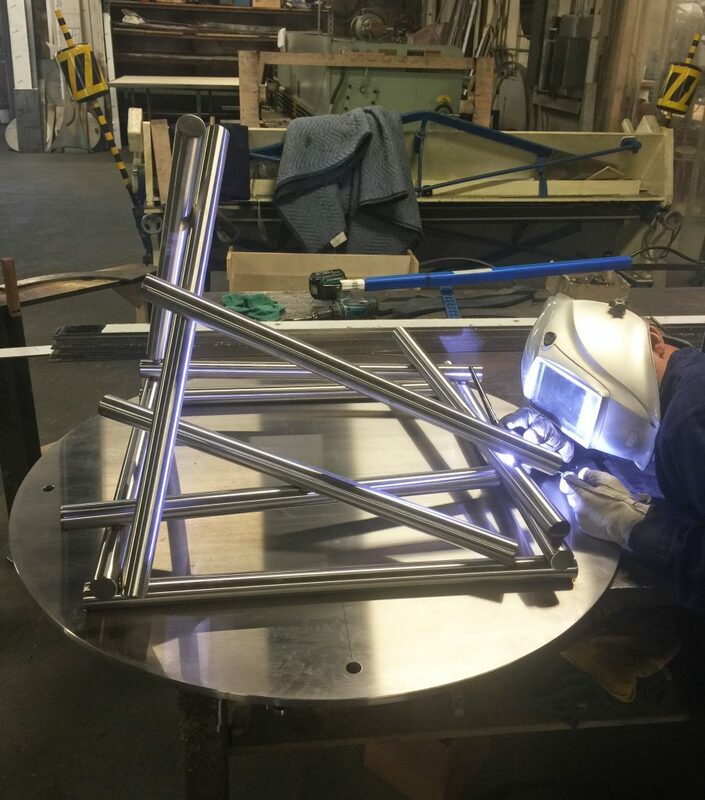 We always welcome the opportunity to create large-scaled works, especially when the sculpture will be placed in a setting where it will be enjoyed by many. Gravity, 10 ft. stainless steel, NYC. Photo by Elizabeth Stilwell. 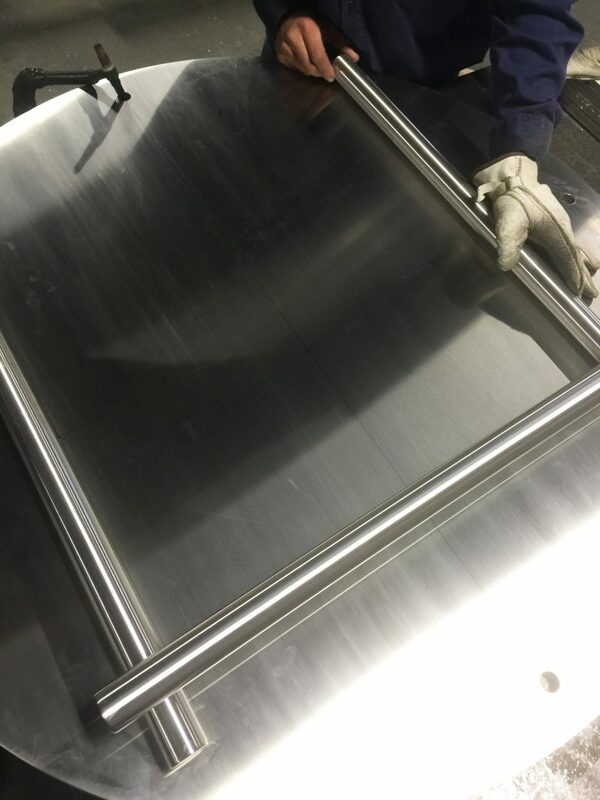 Last year, we were thrilled to be commissioned with several large-scale sculptures for public spaces, including two works for a community college in New Jersey and another stainless steel sculpture for a newly-renovated modern building in Manhattan’s Financial District (nicknamed “FIDI” on social media). For Brookdale Community College in New Jersey, we created two large outdoor sculptures: Flight at 8 ft. tall and Kismet at 9 feet tall. We collaborated with landscape architect Adam Alexander who envisioned our modern abstract sculpture in his inspired landscape design for the campus. Both sculptures are now installed and greet students, professors and visitors to the school, beautifully integrated in the new landscape and also recently featured in Landscape Architect Magazine. 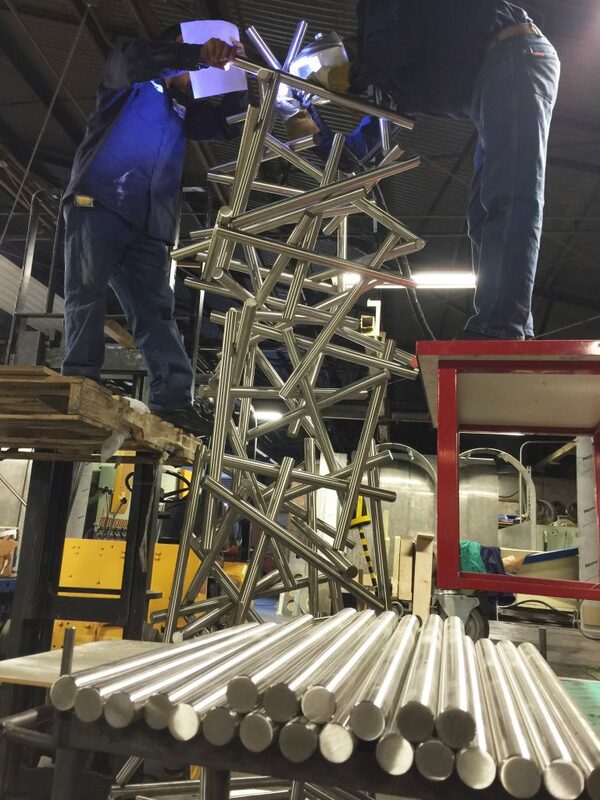 We were also commissioned by the developers of a residential project in downtown New York City to create a larger version of our stainless steel Gravity sculpture. 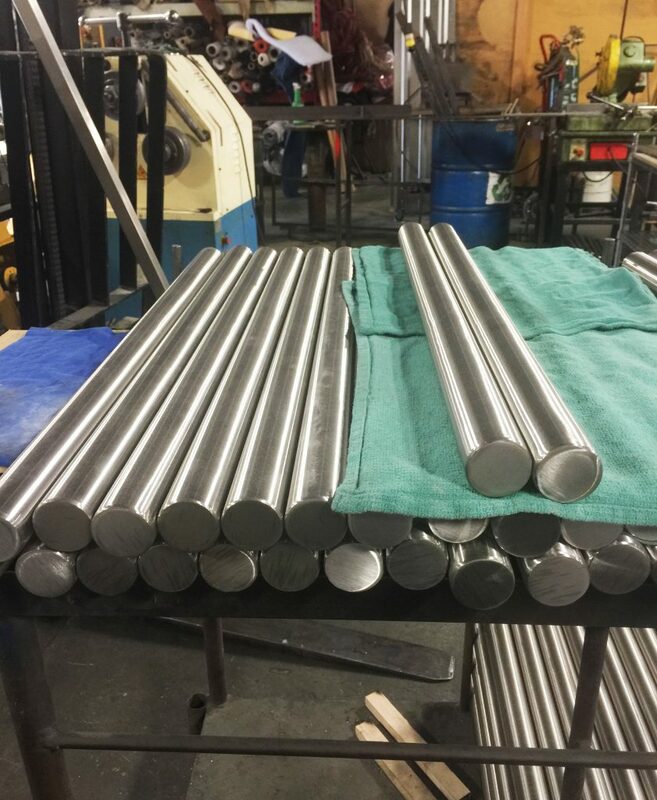 Over the course of several weeks, we made and polished hundreds of stainless steel rods in our Los Angeles studio. 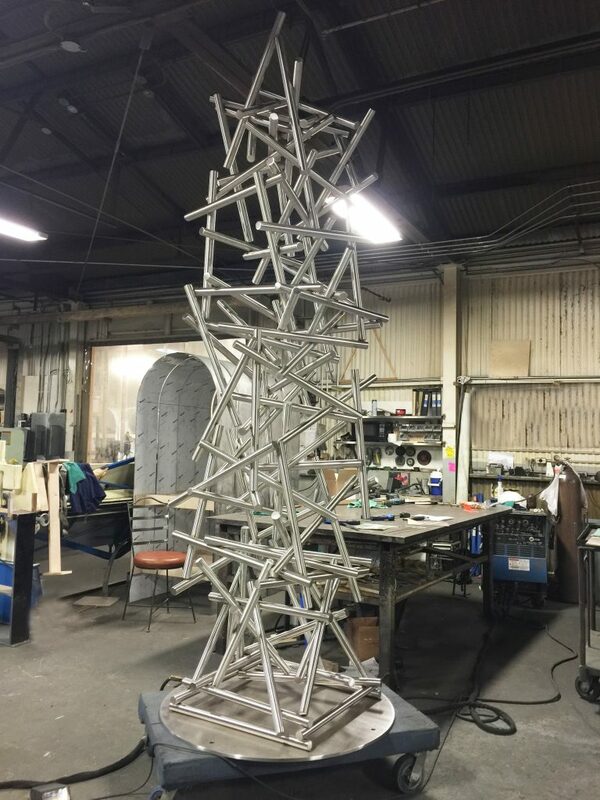 We crafted the rising sculpture, creating a seemingly weightless and interconnected mass growing from the ground up to over 10 feet; ironically in defiance of Gravity. The towering, reflective sculpture is installed in the atrium entry of the beautiful modern building at 180 Water Street (between the Brooklyn Bridge and The World Trade Center). With stark, airy white walls and a 20 ft. ceiling, this New York City space has a museum-like quality and is a truly wonderful outdoor gallery for the 10 foot Gravity sculpture. 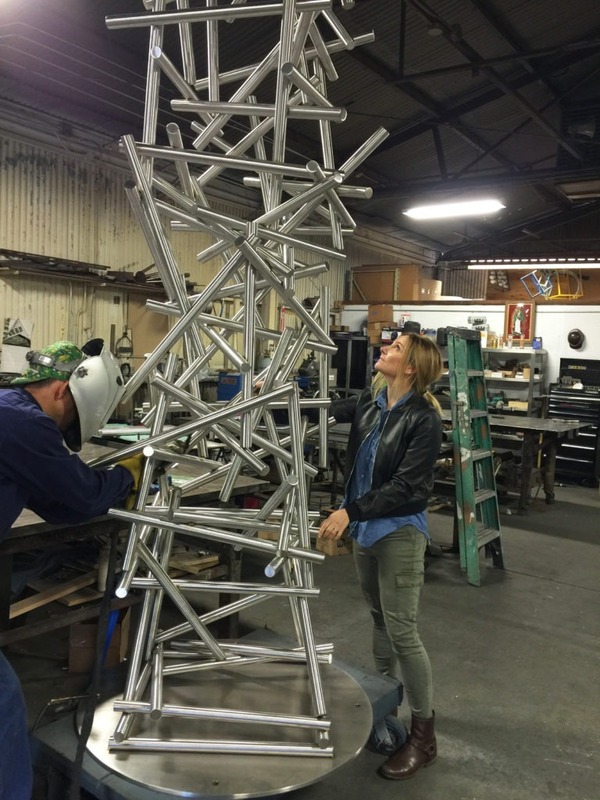 See photo gallery below of our studio progress and how we crafted the Gravity sculpture. Special thanks to Elizabeth Stilwell and Adam Alexander.